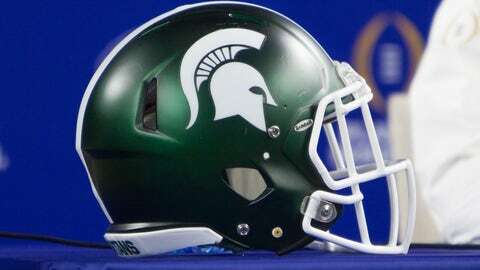 The Michigan State University police department announced they have submitted requests for arrest warrants resulting from a sexual assault investigation involving three football players. University police are probing allegations in addition to a separate university-led Title IX investigation. The university also announced it will investigate the program’s compliance with school policy. The unnamed players were evicted from student housing and suspended from team activities but remain on scholarship. Recruiting director Curtis Blackwell was also placed on a paid suspension. The school did not say whether the suspension was in relation to the sexual sexual assault investigation. The Ingham County, Michigan Prosecutor's Office said on Thursday they expect to receive additional information from campus police. “We anticipate that the MSU Police will submit further evidentiary materials later today. Following this, the Ingham County Prosecutor’s Office will review all of the available evidence and information and make a review decision in the short-term future,” the statement said.